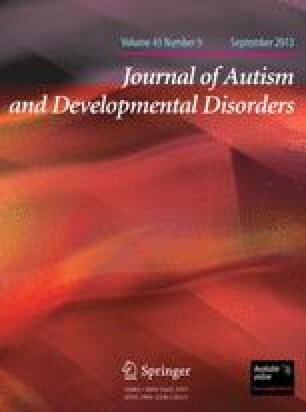 We examined whether infants’ preference for speech at 12 months is associated with autistic-like behaviors at 18 months in infants who are at increased risk for autism spectrum disorder (ASD) because they have an older sibling diagnosed with ASD and in low-risk infants. Only low-risk infants listened significantly longer to speech than to nonspeech at 12 months. In both groups, relative preference for speech correlated positively with general cognitive ability at 12 months. However, in high-risk infants only, preference for speech was associated with autistic-like behavior at 18 months, while in low-risk infants, preference for speech correlated with language abilities. This suggests that in children at risk for ASD an atypical species-specific bias for speech may underlie atypical social development. This research was supported by an Alberta Centre for Child, Family, and Community Research grant awarded to SC and by the Eunice Kennedy Shriver National Institute of Child Health & Human Development of the National Institutes of Health under Award Number R01HD072018 awarded to AV and SC. The content is solely the responsibility of the authors and does not necessarily represent the official views of the National Institutes of Health. Further support was provided by NYU research funds to AV. We would like to thank the members of the University of Calgary Speech Development Lab and the members of the NYU Infant Cognition and Communication Lab for their help with this research as well as all the families who participated in this study. Pierce, K., Carter, C., Weinfeld, M., Desmond, J., Hazin, R., Bjork, R., et al. (2011). Detecting, studying, and treating autism early: the one-year well-baby check-up approach. Journal of Pediatrics, Epub ahead of print. doi: 10.1016/j.jpeds.2011.02.036.